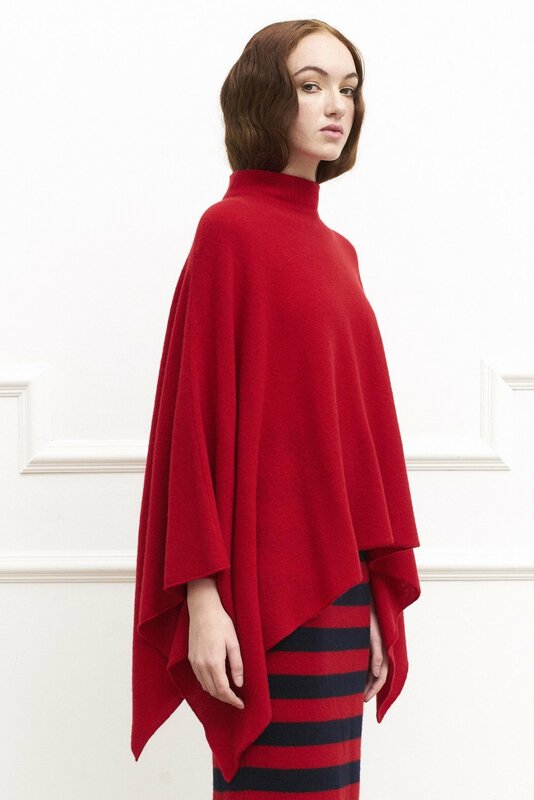 This season’s collection features a rich colour palette of ruby red, hot and deep pinks, ink blue and marble grey. Shapes are cosy but, as always, elegant. Our funnel necks, textured honeycomb knits, bell sleeves and draped ponchos are ideal for jet setters or those who just love to wrap up in cashmere.